Have a great idea for a product that will sell online? 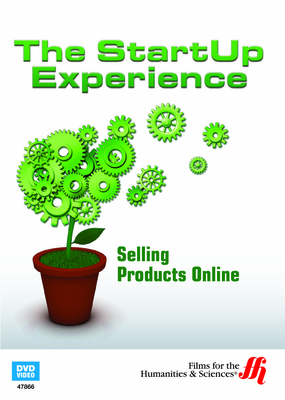 This enhanced DVD shows how to make online product sales a big success. This was at a time when eBay was still a startup as well. In the first year he made more money, than he ever did as a engineer. Partnering with two other engineers, in the beginning they made plenty of mistakes and as the demands of any small business requires, everyone had to wear many hats. All the partners contributed an equal amount of money and they worked to minimize risks. Eventually the hard work paid off, as they became a top 200 seller on eBay offering their products to over 150 countries as they established a well recognized retail brand. At first they owned all the inventory they put on sale on eBay. But then they expanded to sell parts on consignment, which increased their market knowledge. Inventory management became a critical component of the success with customer satisfaction as the highest priority. Sales continued to grow from the most humble beginnings to over US$1 million per year. After five years, Jim Reeder sold his interest in the business to his partners. He attributes his success to having a “tough skin” and being conscientious with great communication skills. Products that sell online are those that can be found for a good price and therefore be priced very competitively. One of his secret techniques was to show up at the end of a physical auction day after most people had already left, so he could grab great bargains from the deals he discovered from his specialized knowledge. It was his market awareness that allowed him to see the great deals that would result in successful online sales.